The editing system CRISPR have a significant influence in fields of research like food safety, and agriculture, bioenergy. The targeting system can travel to various points on the genome, directed by a brief sequence of RNA, where a DNA-cutting enzyme called Cas9 subsequently makes the desired edits. Regardless of the considerable success of the tool, CRISPR-Cas9 is highly controversial and remains restricted.That’s because CRISPR needs a particular sequence flanking the goal place on the genome, called a protospacer adjacent motif, or PAM, to let it recognize the site. As yet, there are not a lot of enzymes with PAM requirements that are minimum, meaning they’re able to target a selection of locations. Researchers at the MIT Media Lab, headed by Joseph Jacobson, a professor of media arts and sciences and head of the Molecular Machines research team, have found a Cas9 receptor which can target nearly half of those places on the genome, significantly widening its possible use. 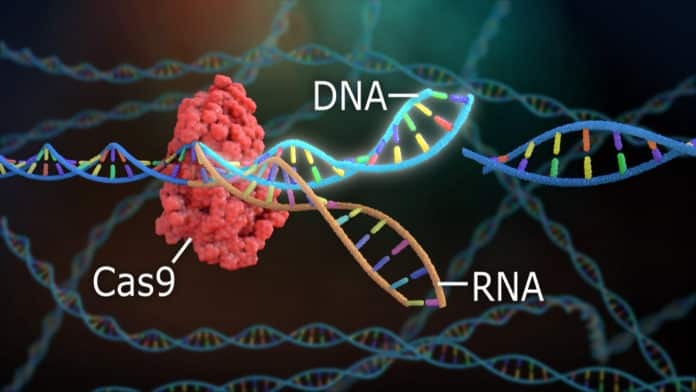 The researchers used algorithms to run a search of sequences, to ascertain if there were any enzymes with restrictive PAM requirements to create a CRISPR system.This revealed several intriguing enzymes, but no clear winner. Hence the team built versions of the CRISPRs to evaluate their performance.They discovered that the most prosperous receptor, a Cas9 from Streptococcus canis (ScCas9), was strikingly like the Cas9 receptor widely used, based on co-lead writer Pranam Chatterjee, a graduate student in the Media Lab, who completed the study alongside fellow graduate student Noah Jakimo. This should allow several mutations which have been out of range of the system to be targeted by CRISPR. By way of example, a gene is about 1,000 bases providing researchers a range of places if their purpose is to knock out the gene to target, Jacobson says.But the mutation of one base, causes many diseases, such as sickle cell anemia, making them more challenging to target. This discovery can open up wider horizons for the usage of CRISPR / Cas9 more efficiently. Japan is all ready with genome editing guidelines drafted to allow the official usage of genome editing in Human embryos for research purpose. With this discovery and Japan embracing Genome editing tech, it would be interesting to see the advancements in the research world.